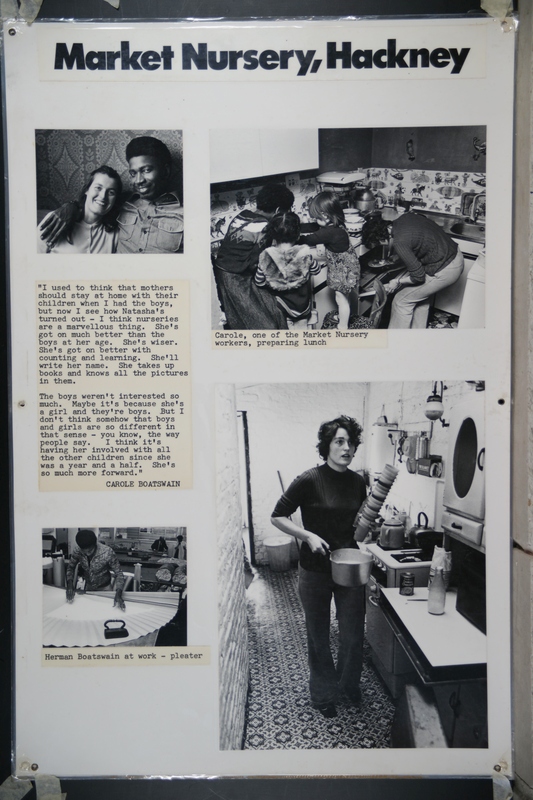 After completing the 1975 project on ‘Women and Work’, the Hackney Flashers began to question how much could be shown by using documentary photography while working on a project on childcare. 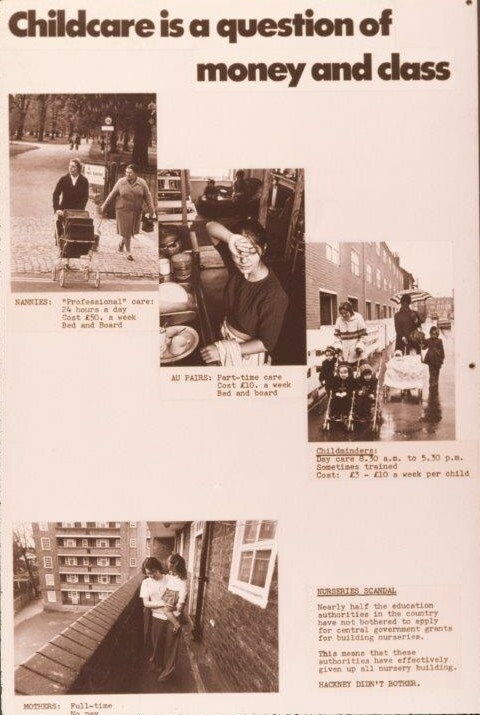 The resulting project ‘Who’s Holding the Baby?‘ combined photographs, appropriated imagery, cartoon illustrations and texts in laminated panels. 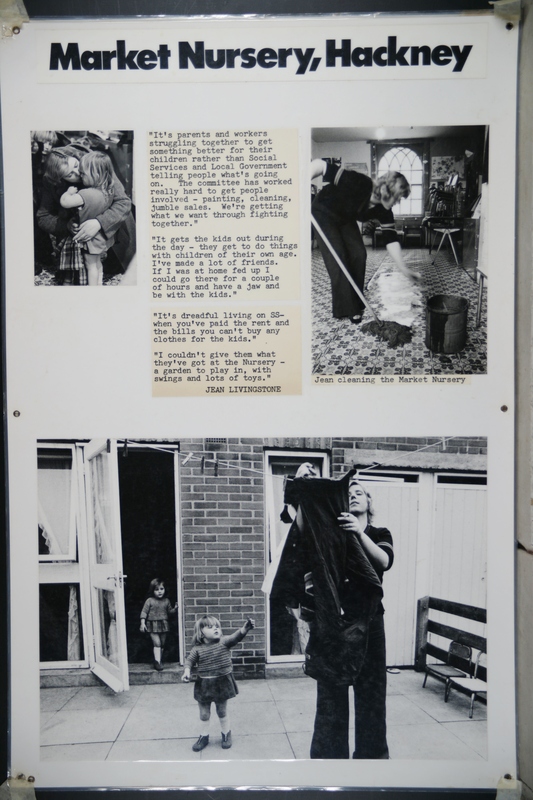 The exhibition showed the lack of childcare and the impact this had on women’s lives. 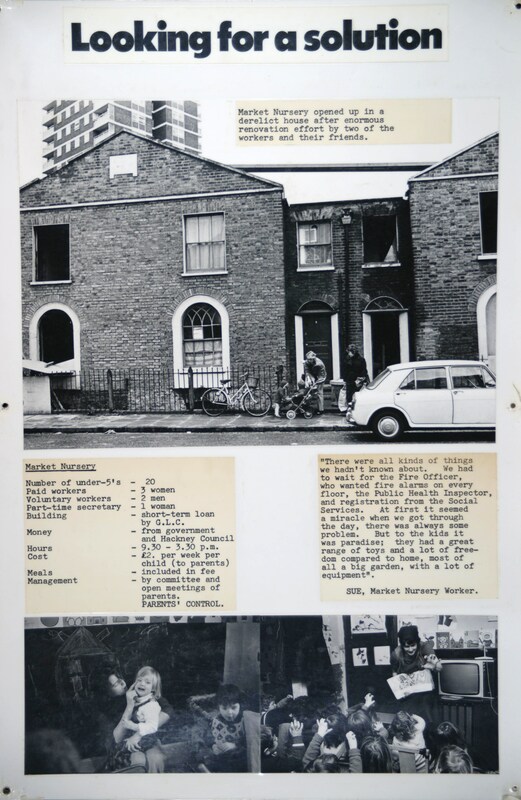 The project was first exhibited in 1978 at Centreprise in Dalston, Hackney and then toured widely in community centres and libraries across the country. 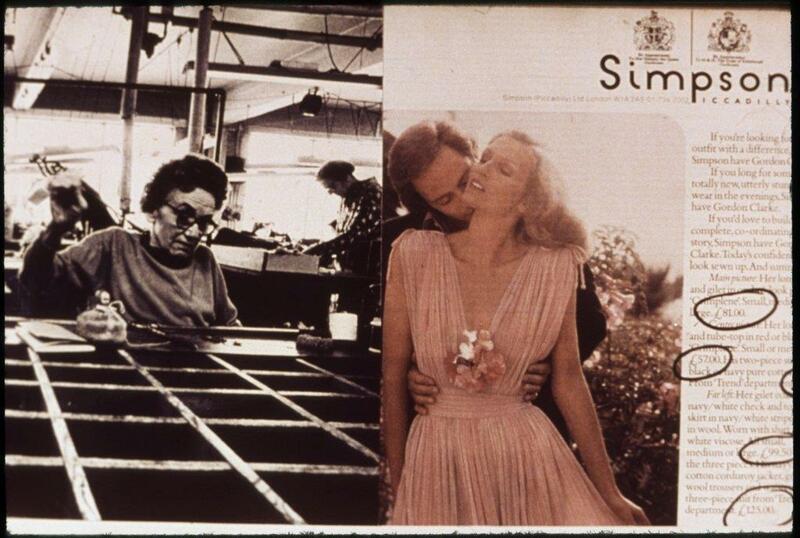 It was exhibited at The Hayward Gallery in 1979 as part of the exhibition Three Perspectives on Photography. 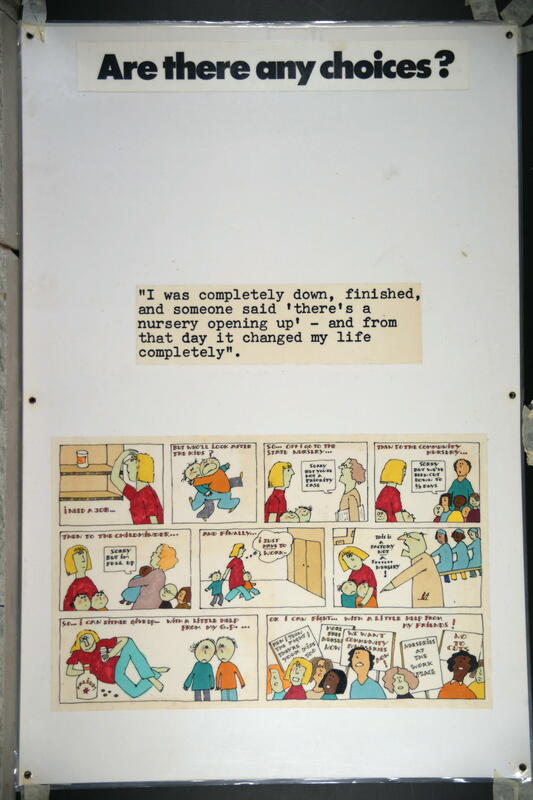 Copies of the original panels are now on display in the Reina Sofia Museum in Madrid. 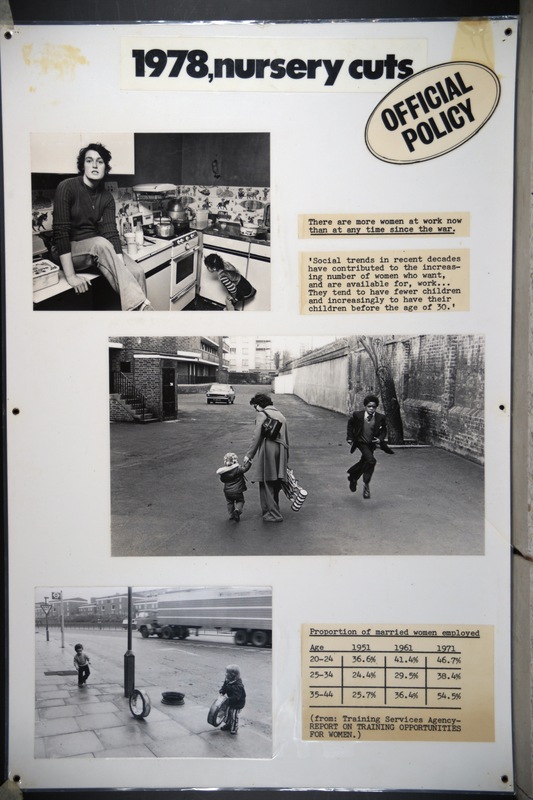 The laminated panels combined documentary photographs with statistics and text to show the current available options for childcare, for example the state provision of nurseries and private provision at home or by childminders. 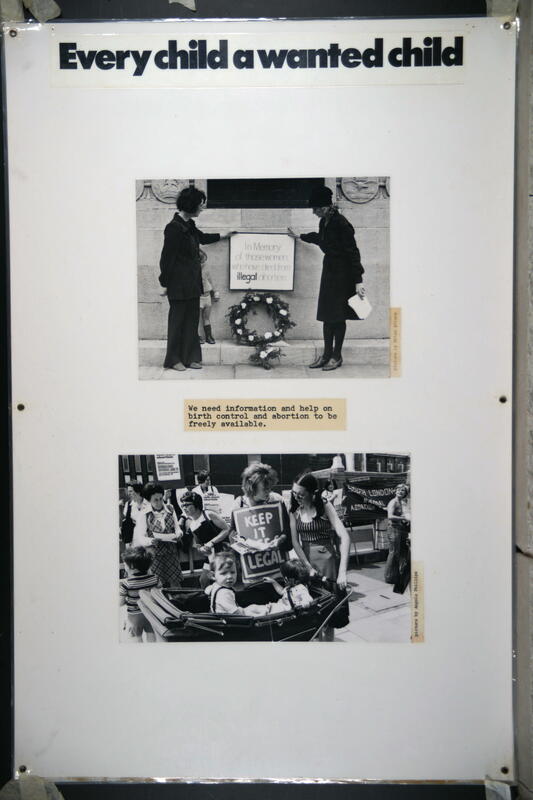 Women needed childcare to be able to work, but although national childcare had been provided during the second world war so that women could work, the provision of childcare had since been cut. The panels showed the gap between the existing childcare and the amount of childcare that was needed. 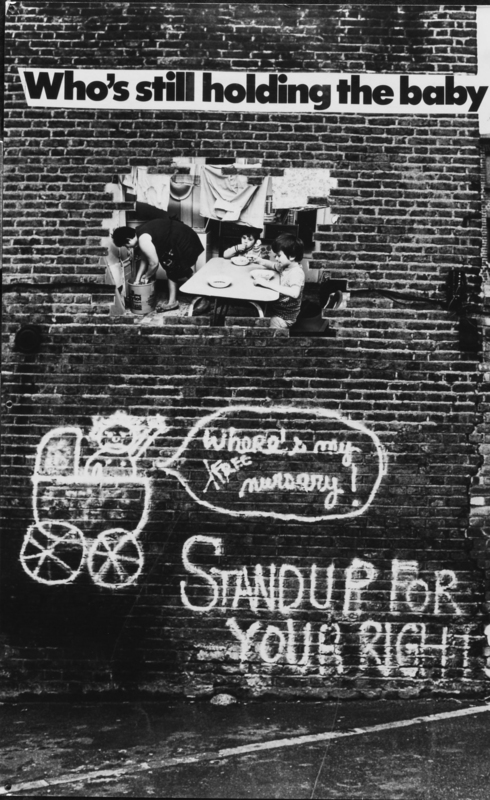 The contradictory situation that many women faced in the 1970s, and still face now, is that they need to work but can’t afford or find adequate childcare. The project attempted to highlight this problem but also to show that by actively campaigning for childcare women could take action to change the situation. 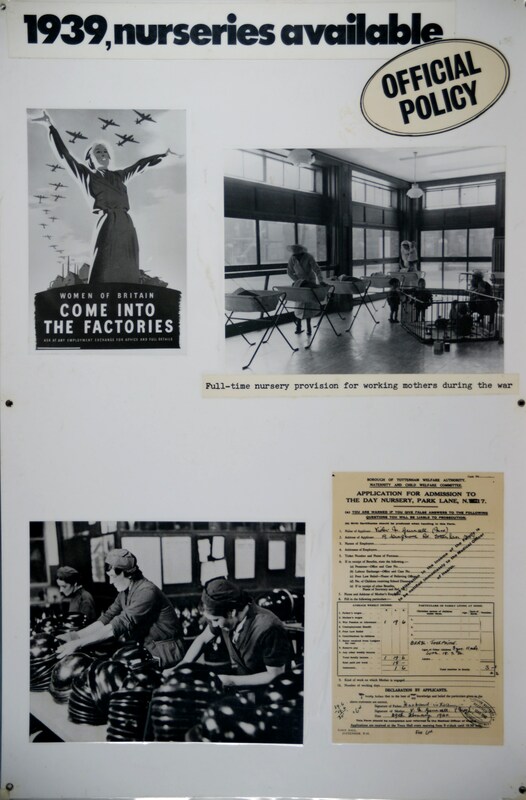 The project showed examples of community action and activism as alternatives to the medical emphasis on treating women’s stress and depression with tranquillisers. 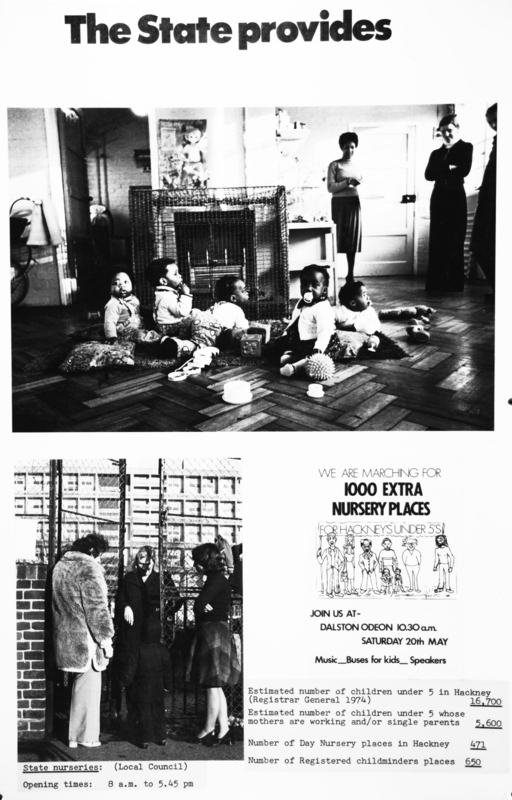 Community nurseries such as Market Nursery in Hackney was one example of an attempt to provide affordable childcare at the time. 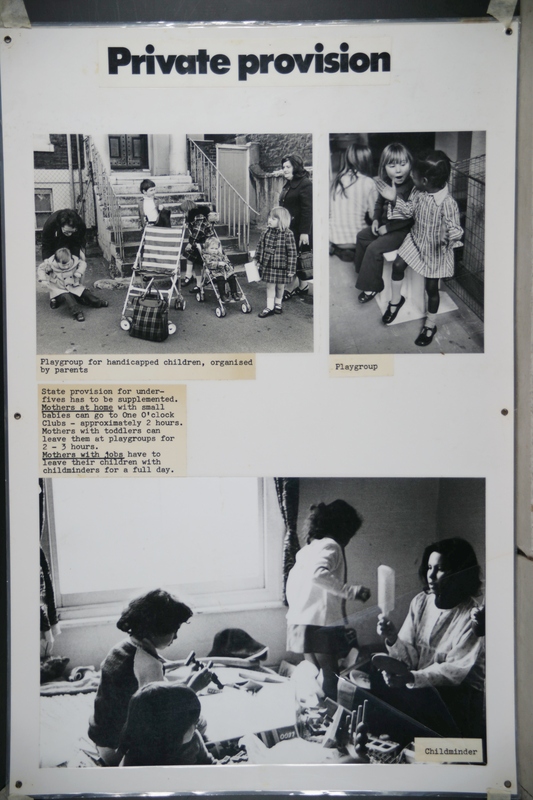 Community nurseries could only provide care for a small number of children, many more were isolated and alone. 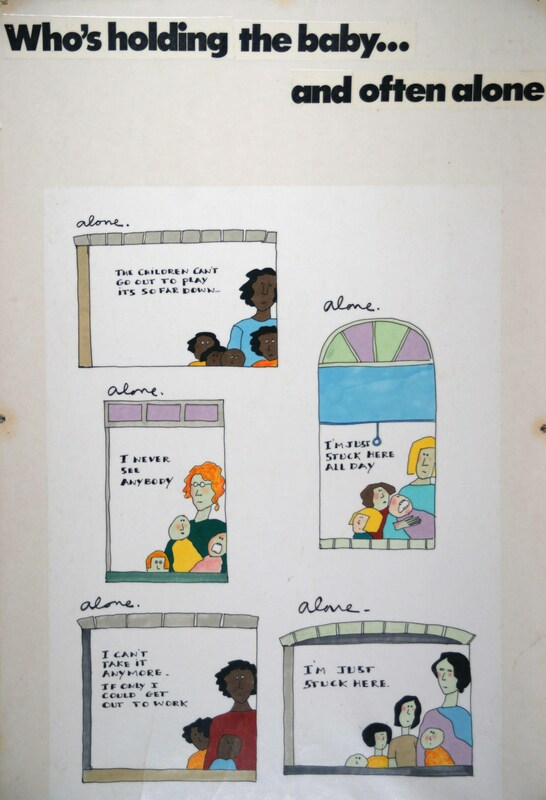 Seeing that photography could not always shed light on the many women who were hidden and isolated the group also used cartoons by illustrator and collective member Christine Roche to show the isolation experienced by mothers. 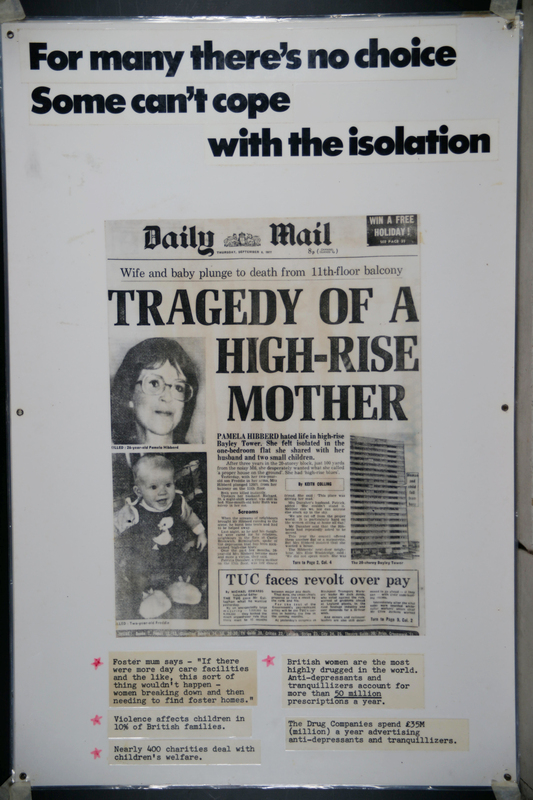 The collective also highlighted the treatment of women’s isolation in mainstream magazines and the tabloid press and put it in a wider context. 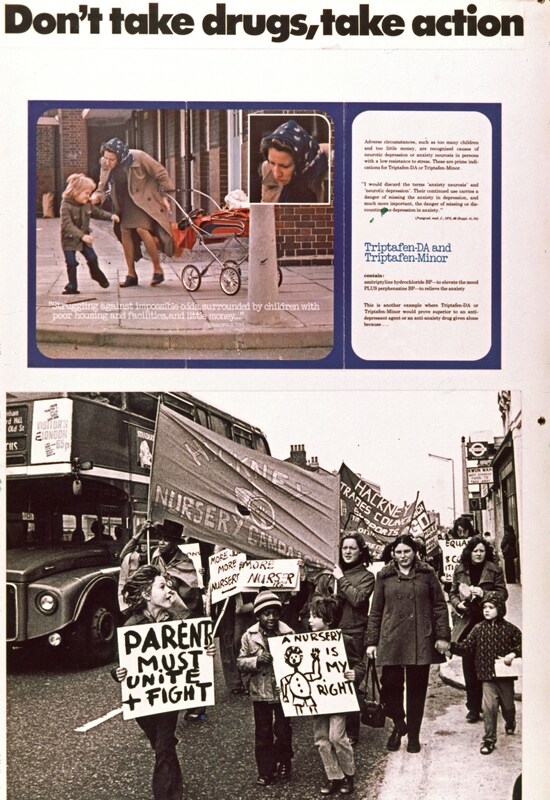 Enabling women to make free choices about motherhood was at the heart of the campaign for freely available contraception and abortion that was an important aspect of feminism in the 1970s. 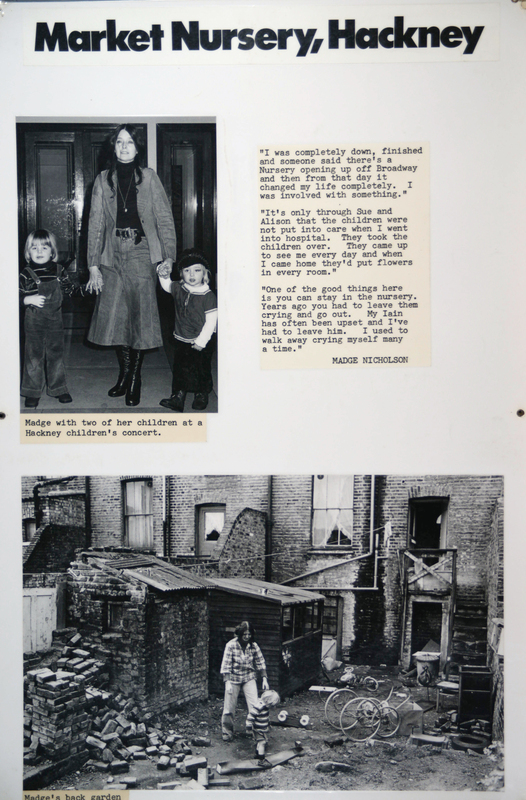 The idea that a woman should always be the main carer of children was also being challenged at the time. 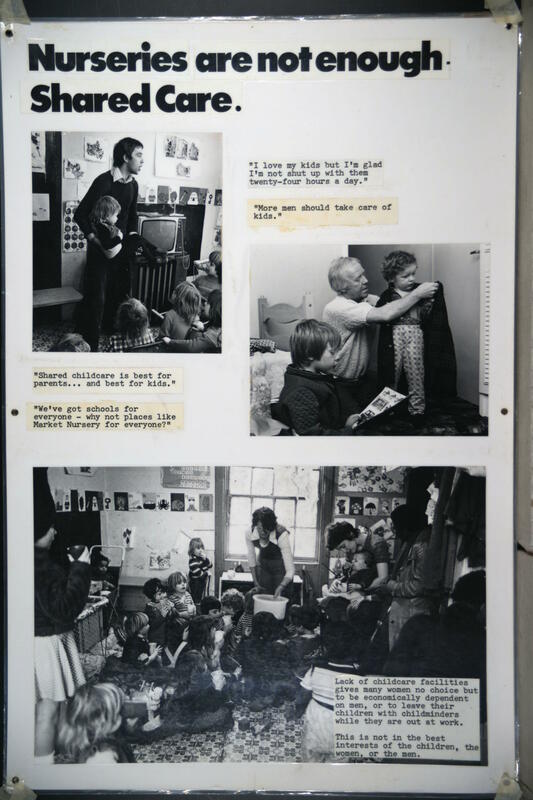 It was argued that men needed to take a full role in childcare. 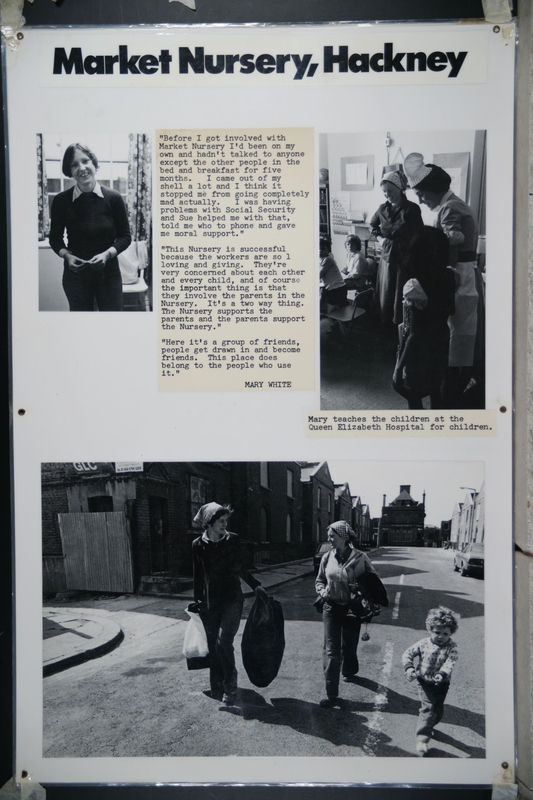 Childcare was and still is a different experience for women of different classes. 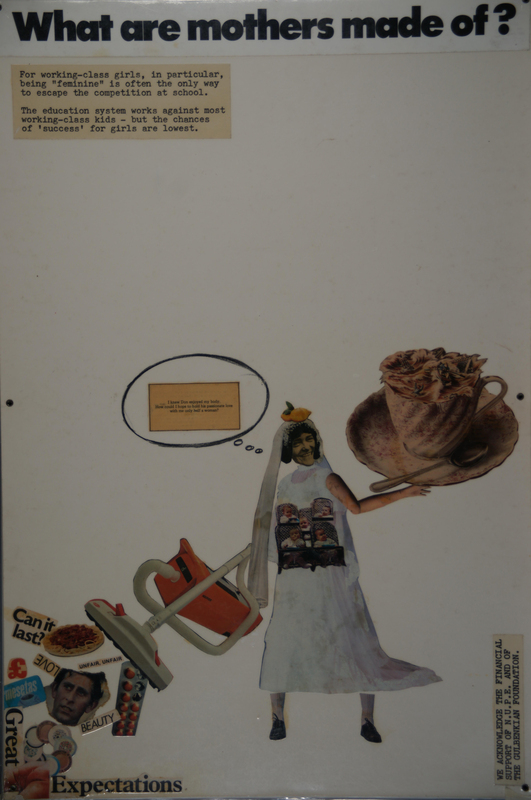 The group began to use montage techniques, using images cut from magazines to work on the questioning of the multiple roles that women and mothers juggled and how they were represented in the media and society. 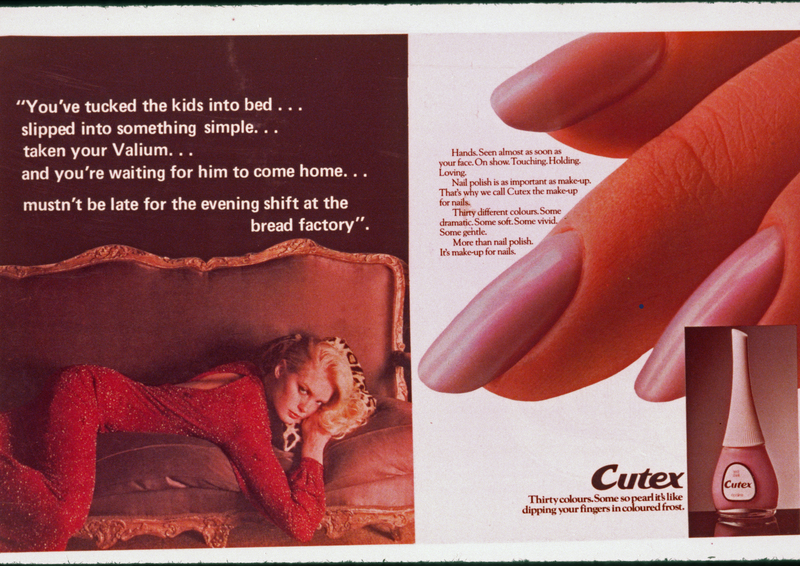 And in this panel montage juxtaposed glamorous advertising with the factory conditions where the dress being advertised was made. 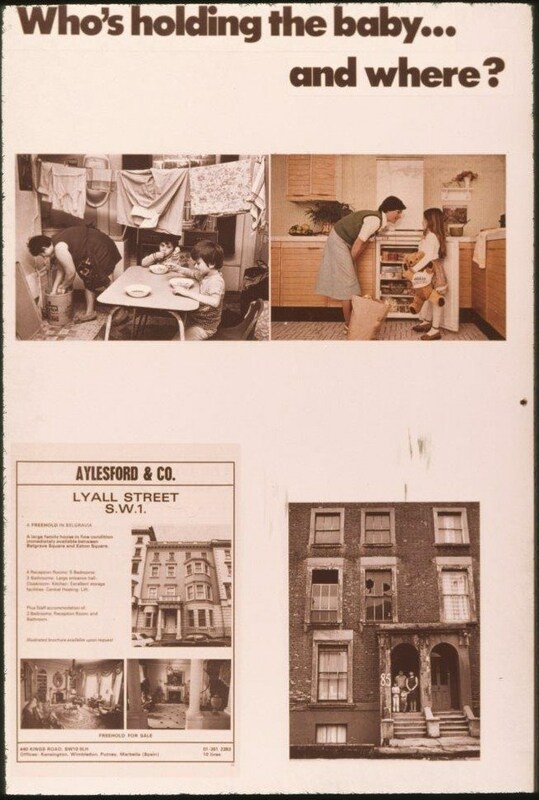 See our Archive for material relating to the production of the work and it’s display at the Hayward Gallery and the many other venues where it toured. 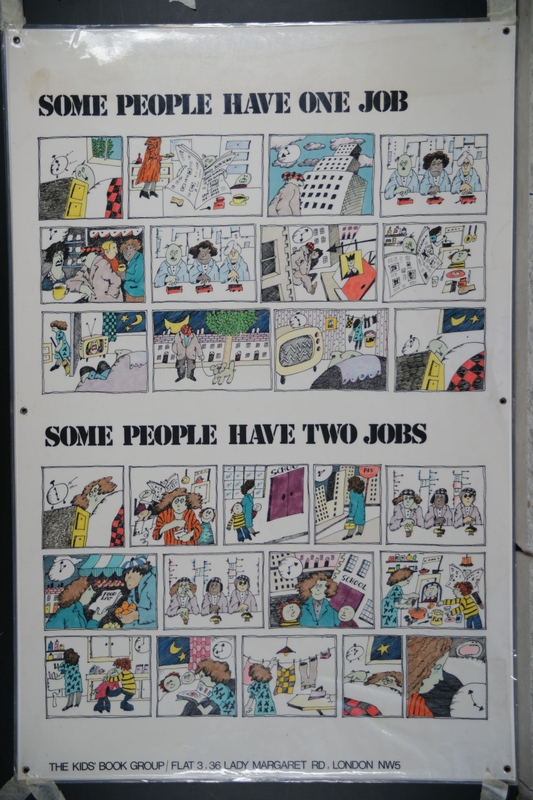 All images ©Hackney Flashers.